Matrimony.com Ltd.'s Rs 501-crore initial public offering was subscribed 1.36 times on the second day of the bidding on Tuesday. The IPO of the matchmaking and marriage services company received bids for 38.2 lakh shares against the total issue size of 18.08 lakh shares as of 5:00 pm, according to data shared by Axis Capital, one of the lead bankers. The portion set aside for qualified institutional buyers (QIBs) was subscribed 0.83 times, while that of non-institutional investors was subscribed for 0.02 times. Retail investors quota received bids for 25.3 lakh shares translating into 4.97 times. 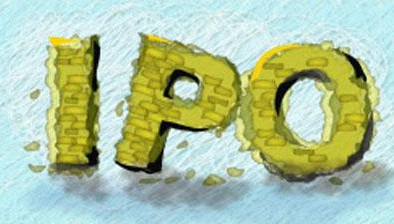 Ahead of the IPO, the company had raised funds of Rs 225.88 crore from ten anchor investors at the upper end of the price band which has been set at Rs 983-985. Matrimony.com will dedicate nearly 15 percent of the proceeds from the fresh issue for advertisements and promotions. The overall funds raised via the IPO will also be used for purchase of assets, debt repayment and for general corporate purposes. The offer which closes on Wednesday, is a combination of fresh issue and offer for sale. Promoters Murugavel Janakiraman and Indrani Janakiraman, and three investors are looking to sell 37.7 lakh equity shares, or Rs 371 crore at the upper end of the price band, while 13.2 lakh equity shares worth Rs 130 crore will be in the form of fresh issuance. Axis Capital Ltd. and ICICI Securities Ltd. are the book running lead managers to the issue.